When I posted about my love for David Niven and his books The Moon’s a Balloon and Bring on the Empty Horses a few days ago, I got to thinking about some other autobiographies/memoirs (or “memwaaaahhs” in a John Malkovitch voice–Burn After Reading, anyone?) that I thoroughly enjoyed reading. Now, before you ask “Why isn’t Confessions of an Actor by Laurence Olivier on your list, Kendra? !” the answer is because I liked it but I liked these better. Don’t worry, I still love me some Larry. Here are my top five page-turning celebrity stories. You already knew this. It’s hilarious! I wouldn’t care if he made up every single word in this book, I so enjoyed reading it. And I learned a lot of interesting things such as the fact that pot was big in the 1930s. There used to be all kinds of debauchery and shenanigans going on at casa Niven/Flynn (David and Errol shared a bachelor pad for a few years in Hollywood). What I love about David is his sense of humor. He was pretty self-deprecating, but it was funny and made him seem very down to earth despite the extraordinary things that happened to him during his life. I enjoyed his stories of showing off whilst water skiing on the Zacca off the coast of Catalina, being marooned by Errol Flynn and stuck floating out with the sharks, and then having to swim all the way back to the mainland (which is a feat I feel is pretty impossible unless you’re a marathon swimmer. I’ve been to Catalina, it’s much farther out in the sea than it looks from the mainland). I love all of his stories about is famous friends. It’s like he rarely had a bad word to say about anyone. I was up reading this book into the early hours of the morning, and never wanted it to end! 2. D.V. by Diana Vreeland. Diana Vreeland wasn’t a film star, but she was very famous in her own right. As the Editor in Chief of Harper’s Bazaar and later Vogue magazine, Diana was a guru of fashion. She was the HBIC, and this comes across magnificently in her autobiography. “Brother, let me tell you,” if you want to learn about the ins and outs of the fashion and high society worlds of London and New York in the 1940s-60s, you must read this book. Vreeland believed in “faction,” a blending of fact and fiction for her life’s philosophy. D.V. is a name-dropper’s paradise. This lady has stories about everyone from Coco Chanel to Clark Gable. It’s very interesting to see how the worlds of entertainment and fashion collided, how fashion has influenced the world, and how Vreeland influenced fashion. It’s also a really fun read. Vreeland adds just the right amount of sass and brass to keep it entertaining, and to prevent it from being totally pretentious. 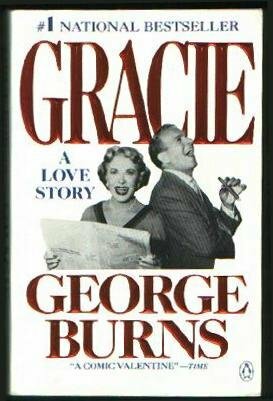 I confess, I didn’t know much of anything about George Burns or Gracie Allen before I read this book, but my friend Alexa had mentioned it quite a few times on her blog, and the passages she posted broke my heart, so I knew I had to find it and read it for myself. I succeeded in getting a used copy at a second-hand book store (my favorite kind of book store) and read most of it on a plane to Texas to visit my friend Laura. I’m so glad I read this book. If you want to read about real, lasting love in Hollywood, this is it. You know George Burns, that funny little guy with the thick black-rimmed glasses who smoked a cigar all the time. He and Gracie Allen were a popular comedic vaudeville, radio, and television team, who also happened to be married to one another. They complimented each other perfectly and it’s so obvious from reading this book that George loved Gracie with all of his heart. He admits to being second fiddle to Gracie because she got most of the laughs, and he was proud of her for doing that. Its really rare in show business for a married couple to be famous because of all the pressures and rivalry, jealousy, etc. My favorite couple certainly succumbed to it, but the Burnses made it work. I can’t say that this book made me seek out much of Burns and Allen’s work, but I would definitely read this book again, and encourage you to read it, too. 4. Lulu in Hollywood by Louise Brooks. 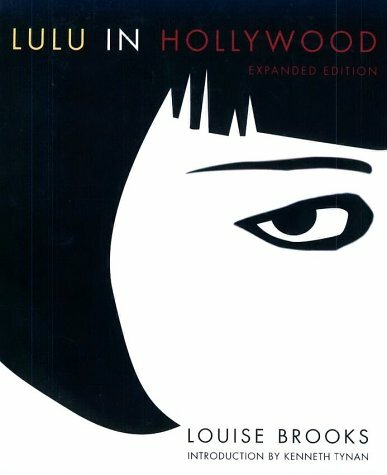 Turning now from rather light-hearted memoirs to those about sad people, my next favorite is Lulu in Hollywood by the amazing and mysterious Louise Brooks. Louise Brooks breaks my heart. She was an amazing actress and a headstrong, very intelligent woman living in a man’s world. She dared defy the trappings of Hollywood and was shunned for it, going into self-imposed exile in New York for years. She reemerged much later to give back to the film community by working at the George Eastman House, and her legend had a major resurgence in her own lifetime. Lulu in Hollywood is a compilation of accounts of her years dancing with Ted Shawn and then her acting career in Tinsel Town. In it she gives us insight into some of the most prolific entertainers of the 20th century, from Marlene Dietrich to Humphrey Bogart and W.C. Fields. It’s also exceptionally well written, so be sure to check it out! In some ways Gene Tierney reminds me a lot of Vivien Leigh. They had the same type of beauty, and they were also both bipolar, and had been treated by the same psychiatrist. Unlike Vivien, Gene lived long enough to talk about her struggle with mental illness while still trying to maintain a significant acting career. In reading Gene’s book, I thought a lot about what things must have been like for Vivien, since she and Gene endured many of the same treatments, including electroshock therapy and the icy sheet treatment. I admire Gene a lot for being an outspoken advocate for better treatment of patients with mental illnesses, and for not letting it ultimately destroy her. Of course, Self-Portrait isn’t all about being bipolar and enduring hardship, it’s also about how full her life was otherwise. She was married to fashion designer Oleg Cassini, and was in some pretty damn good movies (I need to see more, but I loved her in Leave Her to Heaven and Laura). I believe this book is out of print but if you want to read about a super-glamorous star who was also a very courageous lady, I’d really recommend trying to find a copy. I hope you enjoyed this list, and if it gave you any ideas for your “to be read list,” I’m glad. Some of these are out of print, but you should be able to find used copies on amazon or abebooks.com. 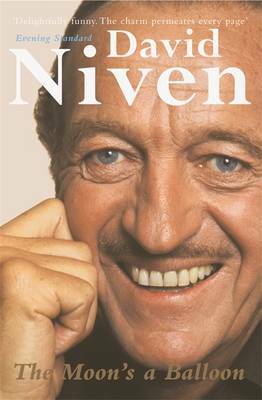 ohhh, I’ve only read one of these (Niven) and one was on my list. thank you kendra, summer reading sorted! i’m particularly interested in D.V. 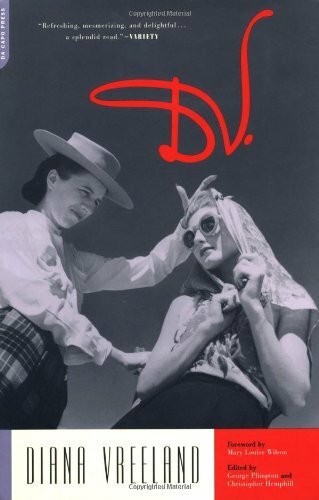 by Diana Vreeland. Gracie: A Love Story is such a great book. 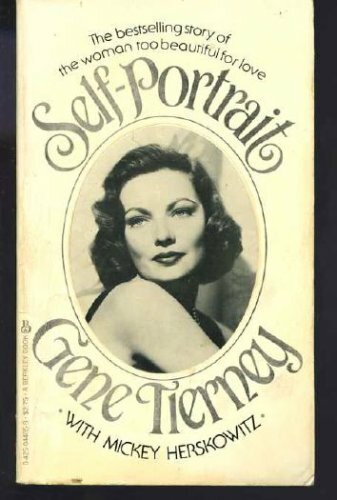 I really want to find a copy of the Gene Tierney book. I remember you raving about it on lj when you first read it. Definitely going on my list! DV is amazing and so funny! I loved it! I also really loved the Gene Tierney book. I thought it was very sad but inspiring at the same time. Thanks for sharing your favorite autobiographies with us. This reminded me to try and find the Louise Brooks and Gene Tierney ones asap. Have you read the memoirs by Gloria Swanson and Ginger Rogers? They’re most excellent! Great post! The David Niven and George Burns ones look particularly interesting. I have Fred Astaire, Ginger Rogers, and Errol Flynn’s autobiographies on my wishlist now. I’ll have to get them pretty soon. Riikka–I haven’t read either Gloria or Ginger’s autobiographies, no. I’ll see if I can find them! Sally–The David Niven one is the best ever, ever, ever!